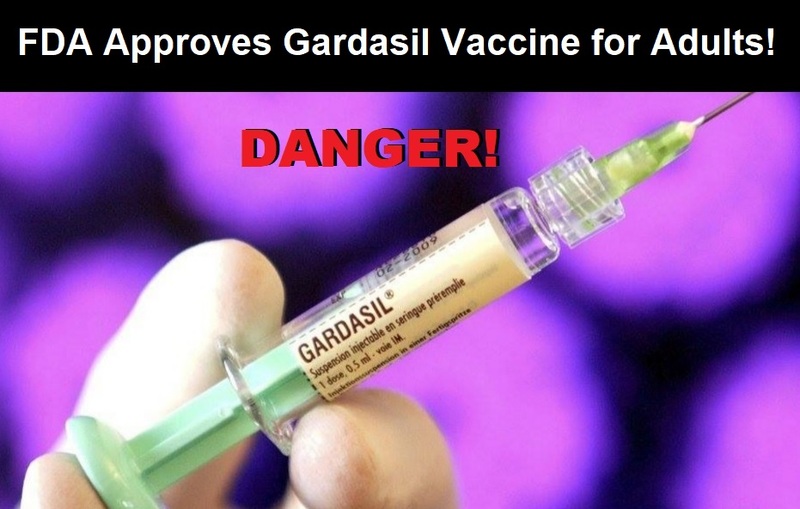 Following a June, 2018 “Priority Review” by the FDA to approve Merck's Gardasil 9 vaccine to be expanded to women and men, ages 27 to 45, after 10 years of the FDA denying Merck's request to expand the Gardasil market to adults, the FDA approved Gardasil 9 to be expanded to adults, aged 27 to 45, on October 8, 2018. Granting approval to a vaccine after a "Priority Review" by the FDA in only 3 months is a "fast nod" according to FiercePharma, the market trade publication of the pharmaceutical industry. Merck did not even have to supply any new trials or data to get the vaccine approved for adults, in spite of the fact that the FDA denied their request for 10 years on the older Gardasil vaccine. According to FiercePharma: "Because Gardasil 9 and sister shot Gardasil are manufactured similarly, the FDA based the Gardasil 9 decision on results from a study of its predecessor." The study the FDA relied upon to approve Gardasil 9 for adults, was considered insufficient for 10 years as the FDA denied Merck approval to market the vaccine to adults: "Back in 2008, after agreeing to a faster review in the age group, the FDA decided against Merck’s case for an additional Gardasil approval in females 27 to 45. The agency in 2009 issued a second complete response letter for that application, demanding Merck to provide longer-term efficacy data in the age group. That set of data apparently didn’t turn things around for Merck. In both Gardasil’s and Gardasil 9’s current labels, information about a study on 3,253 women, 27 through 45 years of age, states that there was “no statistically significant efficacy” demonstrated by the vaccine in preventing high-grade cervical lesions or cervical cancer." Yet somehow, that same study is now deemed to be sufficient to approve Gardasil 9 for adults. Why just ruin the lives of children?